SLA was the first largely accepted rapid prototyping technique, which was first introduced in the early 1980’s. A laser which generates a small intense beam of ultraviolet (UV) energy is moved by the machine’s optical scanning system across a vat of photosensitive liquid polymer, building your part layer by layer. As the UV beam comes in contact with the polymer, it solidifies to create your finished part. Each layer is intricately drawn and leveled to create a solid, seamless part. The SLA process builds parts in thin layers and with intricate support structures for large horizontal pieces of material. After printing, all SLA parts can be finished using various methods of sanding, sandblasting, painting or dying to provide you with the high quality part you need for your project. SLA parts can be built in any size, no part is too big! Our SLA additive manufacturing process lends itself to larger parts and prototypes as we have the ability to build your parts in segments, and then seamlessly bond them together in post processing to give you a solid full scale model of the largest part you can imagine. 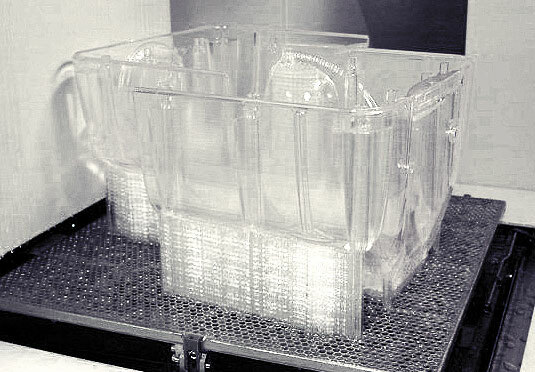 Our SLA has a vat size of 20” X & Y, 23” Z.
high-detailed parts. 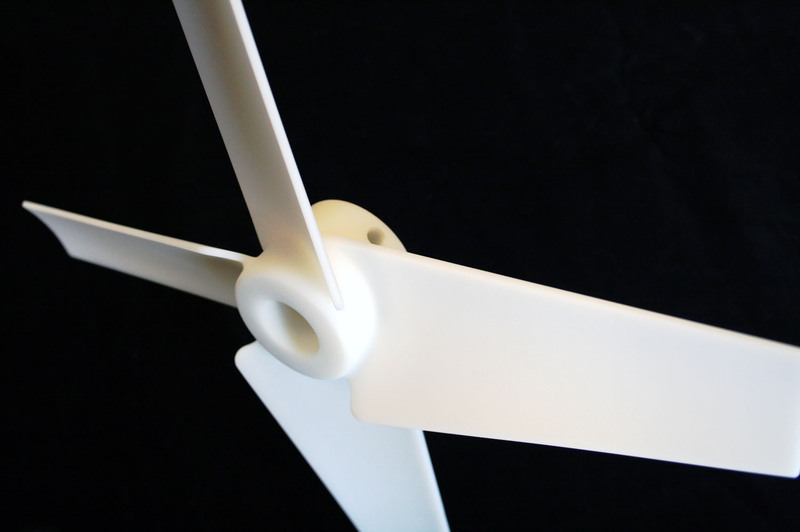 It has a look and feel that is almost indistinguishable from finished traditional thermoplastics, making it perfect for building parts and prototypes for functional testing applications – resulting in time, money and material savings during product development. Somos® EvoLVe 128 is an outstanding material for industries such as aerospace, automotive, medical, consumer products and electronics. applications and is ISO 10993-5, ISO 10993-10 and USP VI certified. Other SLA Materials are available upon request, just tell us what you need, and we will find it for you! We also have multiple finish levels available for our SLA parts. Go here to learn more about our finish levels.